Add a touch of whimsy to your garden, lawn or patio with wheelbarrow planter plans. These moveable stands will add color and charm to your yard and are easy to build with free wheelbarrow planter plans. 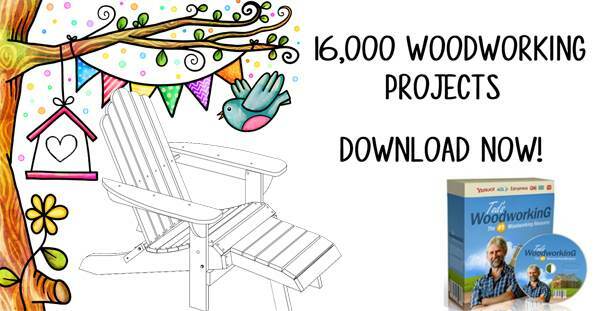 This is a great project for a beginning woodworker and is a great housewarming gift. 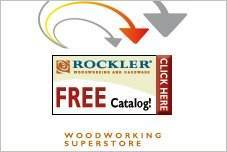 Use CCA lumber or exterior wood for durability and always use galvanized fasteners for rust and corrosion prevention. The simple plans are easy to customize and can be painted or stained to match your outdoor color scheme. Western red cedar is especially good for this project, as it is long lasting and holds up well to inclement weather. Wheels are made from wood and can be decorated with simple designs. Free wheelbarrow planter plans have tips and tricks for easy ways to construct your cart and include material lists to make the job easier. 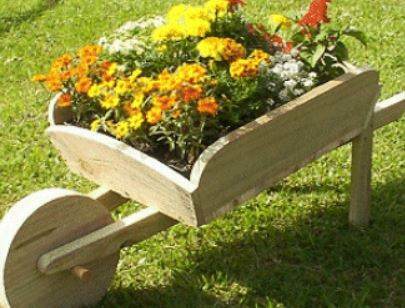 A wheelbarrow planter is just what you need in your yard or garden. Use these step-by-step plans to build your movable and adorable planter. 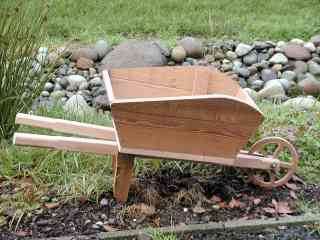 This wooden wheelbarrow planter looks great and can be wheeled around like a working wheelbarrow.